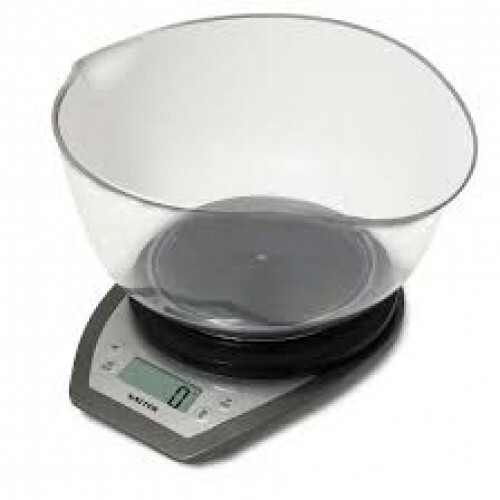 Baking is quick, easy and more enjoyable with the innovative Dual Pour Kitchen Scale with Mixing Bowl from Salter. Holding up to two litres at a time, the bowl has two spouts to accurately pour in both wet and dry ingredients. And if you’re baking in bulk just use a bigger bowl. These kitchen scales can weigh ingredients up to five litres. You can also switch between metric and imperial measurements with either reading clearly shown on the LCD display. The scale is available in stylish Silver or white to complement your other Salter kitchen accessories.